Crop and resize any video into a vertical video which is ideal for Instagram story, IGTV, and Snapchat. 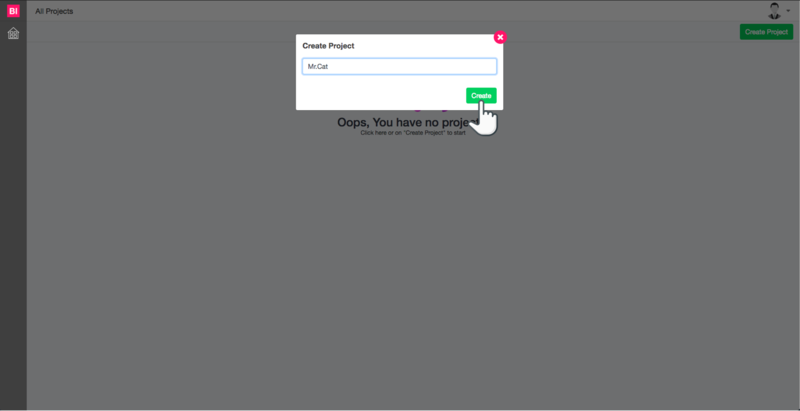 You need to create a new project and name it. 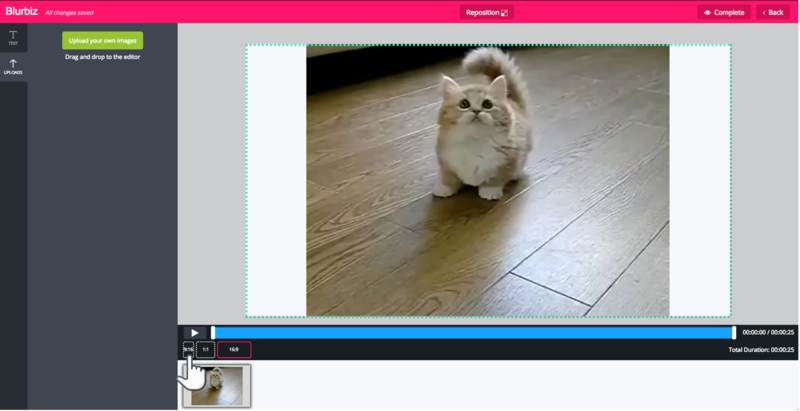 Now upload your video directly to your new project. 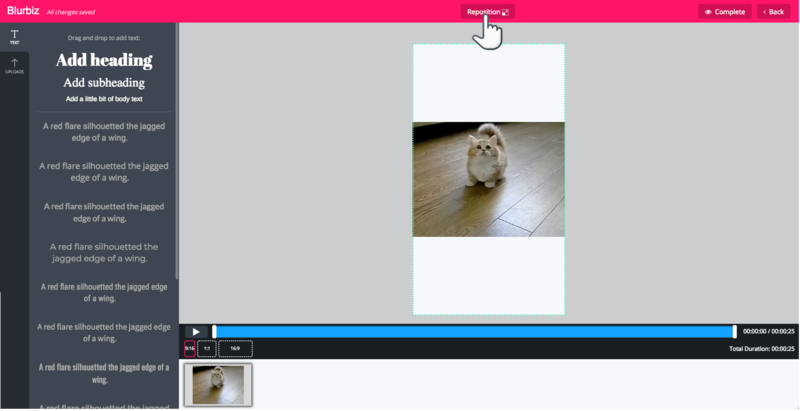 You can even upload Images and GIFs that you can crop to Vertical. 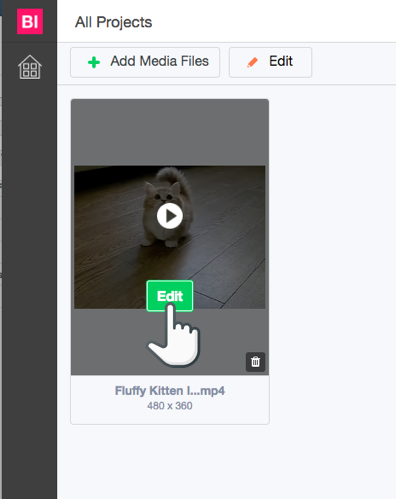 Once you have uploaded your video hover over and click the edit button or the click the “Edit” next to “Add Media” files. 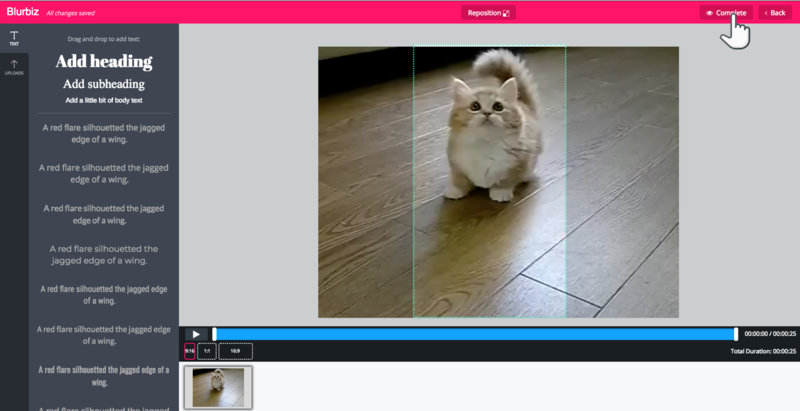 Once you are in the editing page, click the Vertical "9.16" button and the platform will automatically adjust your video to Vertical. 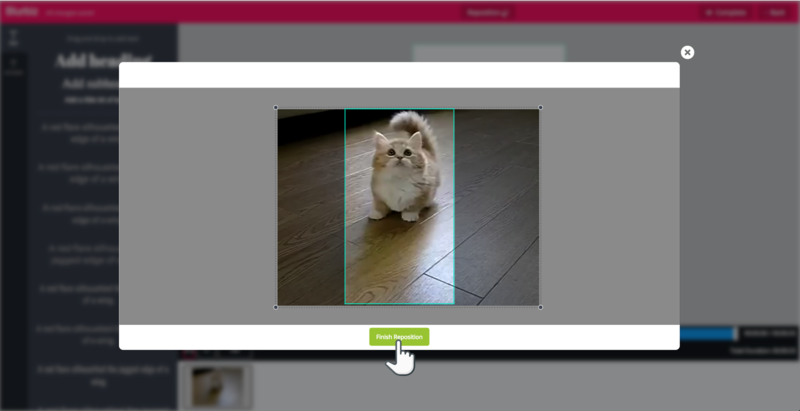 Don’t let your video get cut off, click the reposition button to fit or crop them to your ideal dimension and click “Finish Reposition”. Just hit “Complete” on the top right corner. And you are done. You can now download your vertical video in mp4 format. Vertical videos are ideal for Instagram story, IGTV and Snapchat. Copyright © Blurbiz Media, Inc.